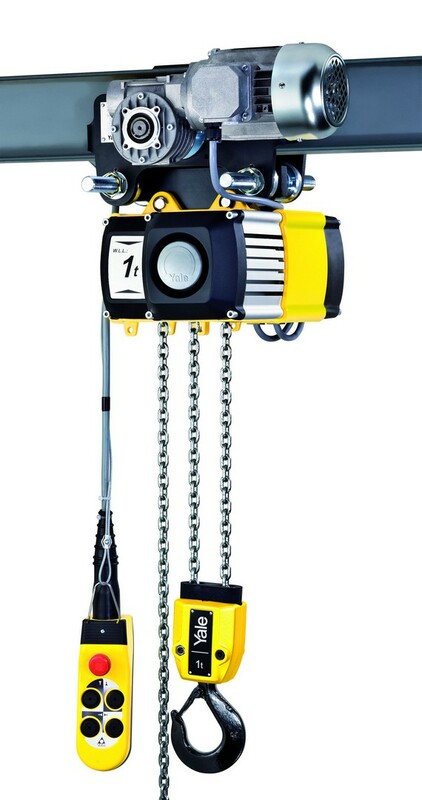 CPV hoist range offers a comprehensive and versitile range of electric chain hoists with options of hook or lug supensions, push, geared travel and eletric travel dual speed and single speed all motions. With capacities from 125kg to 2t the CPV will satisfy most lifting applications. Duty rating FEM 1Am, 50% ED rating on single speed models. Externally adjustable clutch, integral upper and lower limits as standard. Plated chain. Oil bath gearbox and helical cut gearing produces a very quiet and smooth running hoist. IP Ratings Motor: IP55. Pendant: IP65.